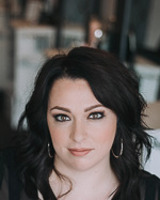 With a reputation for excellent services and unparalleled customer service, Vannessa has become recognized as one of the area’s top designers. Not only is she an accomplished designer, but she is also a mentor, educator, and a leader. 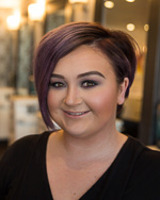 When a guest comes for a service, there is an expectation that their hairstylist will be professional, personable, and knowledgeable. Liz Conroy is all of these things. 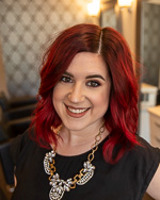 Her meticulous attention to detail, as well as her patient and thoughtful consults provide her clients the very best results. Christina’s passion is any and all things artistic and beautiful which is abundantly clear in all of her work. 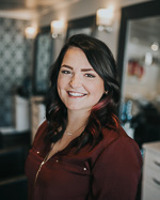 Her ability to transform her guests both with hair and makeup, earn her the title of Makeup Goddess and all around Hair Ninja. If you like hanging out with someone that can make you laugh, loves what she does and NEVER stops smiling then Kaylee is your girl. 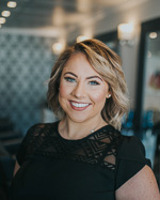 Just one year at Maven and She is killing the blonding game and has become known for her love for rich tones, killer Men’s cuts and epic dance moves.